Home Ink Cartridge News Happy Pancake Day – Celebrate Shrove Tuesday! 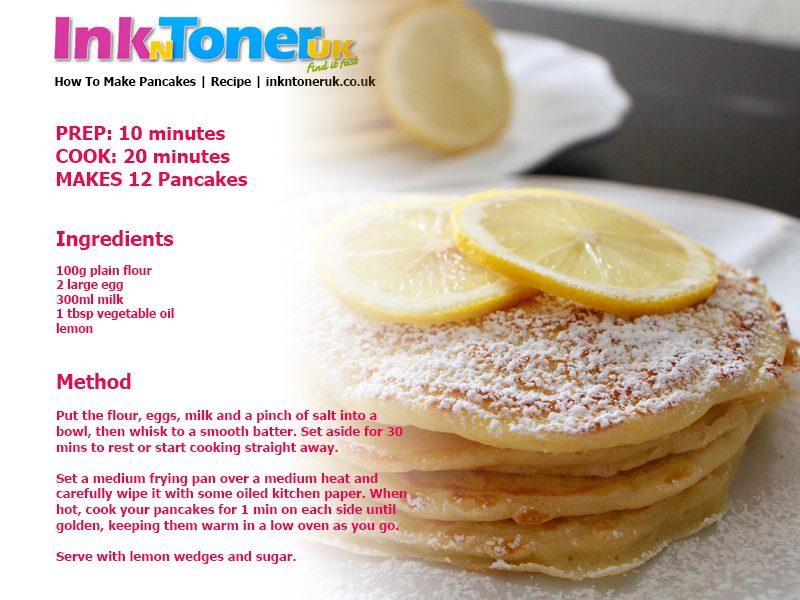 Celebrate Shrove Tuesday by turning out perfect pancakes using InkNTonerUK’s quick and simple guide. This is a really easy step-by-step guide to making the perfect pancakes with measures included. The pancakes are delicious that they can be enjoyed any time and not just during pancake days. Try Ink N Toner UK’s delicious ideas for pancake day as we have you covered to make Shrove Tuesday a success. Simply print out the guide below and take it to your kitchen to start making the perfect pancakes.